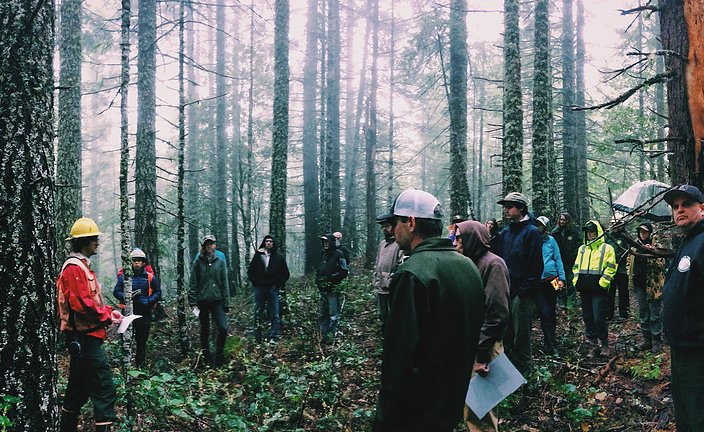 Formed in 2012, the Wild Rivers Coast Forest Collaborative is a partnership of diverse local and regional interests who have come together to address and resolve the impassioned social gridlock and controversy surrounding natural resource management in the region. This group is committed to the collaborative process. It is a crucial and exciting time to build positive, forward momentum to address the critical issues of public forest land management. Through regular meetings, field trips, project planning, and other activities, this group is building trust and relationships, identifying common interests, and advancing an agenda defined by restoration and collaboration.